As North Korea continues its provocative missile tests, the State Department is highlighting the nation's infamous prison camps and their atrocious living conditions. "Induced starvation is common among prisoners, who are driven to catch and eat rodents, frogs, and snakes," says a State Department document, in reference to one of the camps. The fact sheet outlines instances of guards beating prisoners, who they are taught not to view as humans, to death. Death is also rampant from malnutrition: a former camp guard says he saw 1,500 to 2,000 prisoners die yearly because of no access to food. In the document, prisoners are described as "walking skeletons," "dwarfs" and "cripples." Work consists of intensive labor including coal mining and cement making. The State Department also says that unconfirmed reports indicate that prisoners may be helping construct a nuclear test site. Some camps keep long-term prisoners in solitary confinement. The people in these camps are accused of speaking poorly of the regime, getting involved in anti-government activity or not being productive in their jobs. They are seen as enemies of the state. One of the camps -- Yodok -- is more than six times the size of Manhattan. It stretches approximately 145 square miles in area, and is reportedly surrounded by an electrified fence and barbed wire reaching up 10 to 14 feet. The document says the camp is patrolled by dogs and 1,000 heavily-armed guards. The State Department first published these profiles of six North Korean prison camps in 2014 as part of Human Rights Day. The department has since moved the information to another portion of their website and maintains that the report, based on reports from non-governmental organizations, defectors, and the UN, is still accurate. About 200,000 people are in the prison camps and 400,000 have died during imprisonment, according to reports from Amnesty International and the Committee for Human Rights in North Korea. North Korea has a population of over 25 million and these camps are believed to have been in existence since the 1950s. An American citizen, Otto Warmbier, died several days after being released from a North Korean prison camp in June. Three other Americans remain in custody in the country. Secretary of State Rex Tillerson has publicly condemned North Korea's use of missiles and their efforts to build up a nuclear program. He urged a halt to missile launches in mid-August in order to have dialogue between the U.S. and North Korea. Just last week, Tillerson said he was "pleased" that the regime was showing restraint – as missile launches briefly paused after the UN Security Council resolution in early August. But the situation abruptly changed with two missile launches in the past week. The most recent North Korean missile launch went over Japan for the first time since 2009. "Threatening and destabilizing actions only increase the North Korean regime's isolation in the region and among all nations of the world. All options are on the table," wrote the White House in a statement. While condemning the launches, the administration has largely stayed away from highlighting the regime's treatment of its people. The ultimate goal for the U.S. government is denuclearization of the Korean peninsula, and to that end Tillerson has tried to induce talks with the regime. He has said that if North Korea comes to the table, dialogue would focus on the "future of North Korea so that they feel secure and prosper economically." This is a contrast to President Obama, who predicted the regime would inevitably collapse. "The kind of authoritarianism that exists there, you almost can't duplicate anywhere else. It's brutal and it's oppressive and, as a consequence, the country can't really even feed its own people," Obama said in early 2015 in a Youtube interview. "Over time, you will see a regime like this collapse." Tillerson has not yet responded to the most recent launch, and Democrats in Washington say the launches show that administration's strategy is not working. "As with most of President Trump's foreign policy, there is no coherent North Korea strategy. Just empty statements and wild, counterproductive tweets," wrote Senator Ben Cardin, the ranking Democrat on the Senate Foreign Relations committee, on Tuesday. On Wednesday, Mr. Trump tweeted that "talking is not the answer" when it comes to North Korea. Amid the missile and nuclear tests that have rattled the international community, North Korea's prison camp system is reportedly growing. 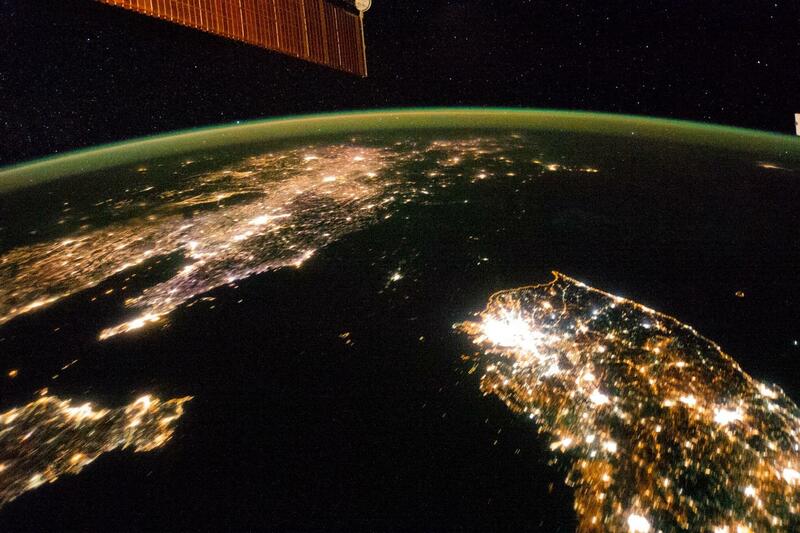 "Satellite imagery of North Korea's network of political prison camps show its government is continuing to maintain, and even invest, in these repressive facilities," writes Amnesty international in their report last year. "These camps constitute the cornerstone of the country's large infrastructure dedicated to political repression and social control that enables widespread and systematic human rights abuses."